Engagement in social activities and the ability to travel to important appointments can help keep your loved one healthy and happy. Many folks however don’t know where to find dependable transportation for seniors designed to meet their particular needs. Senior Home Care of Tucson proudly offers safe and reliable senior transportation services for your loved ones. Doctor’s Appointments. Keeping all medical and therapy appointments is a key aspect of achieving vitality and longevity. We offer door to door transportation services to your loved one’s appointments, as often as necessary. An important aspect of these services is that we provide in-room advocacy which includes communicating any medical findings with family members as deemed appropriate. Cultural Events. The Tucson community puts on many interesting cultural events, from symphonies and operas to guided museum trips. Allow us to provide the transportation and keep your loved one engaged in mentally stimulating activities. Errands. 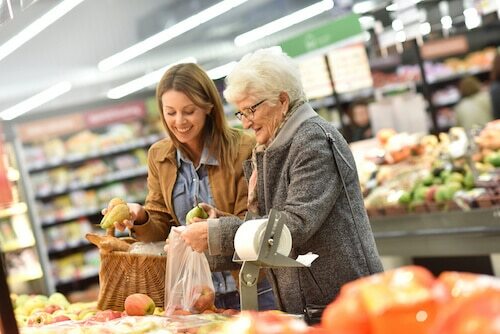 Your loved one can partner with our team of drivers and caregivers to do grocery shopping, pick up dry cleaning, or run any other errand on their schedule. Senior Home Care of Tucson offers so much more than a simple driving service. Our team of trained, compassionate caregivers will not just transport but also monitor your loved one and provide them with the assistance they need to get from place to place. We also provide you with updates regarding your loved one’s status as they go in for testing or simply complete their errands. At Senior Home Care of Tucson, we know that your loved one’s safety and happiness is your top priority. That’s why we go above and beyond to assure your senior’s welfare. We not only provide transportation that allows your loved one to be mobile, we also offer companionship that assures their safety and comfort throughout the process. Our caregivers accompany seniors on appointments, errands, and even into their homes. Additionally, we can assist with grocery shopping, unloading purchases, and more. If your loved one has a medical appointment or procedure, we do more than just drop off and pick up. Our caregivers provide companionship throughout the process, and won’t leave your loved one until they’re fully stabilized and resting comfortably at home. That’s the difference in choosing a transportation service – especially for seniors. All of our drivers/caregivers are rigorously background checked and vetted according to federal standards. All employees have clean driving records and put your loved one’s safety first. With Senior Home Care of Tucson, you never have to worry about binding contracts or arrangements. We know your needs can change by the week or even by the day. Simply call us to set up an appointment – no binding contracts required. When it comes to transportation for seniors, Senior Home Care of Tucson, providers of the professional home care assistance Tucson seniors need, offers comprehensive, flexible, safe and compassionate care. Contact us to learn more or to set up an appointment with one of our compassionate transportation professionals today.